The Althelia Climate Fund last month made its long-awaited first investment in REDD+: a $10 million commitment to support REDD+ in Kenya’s Taita Hills, adjacent to the historic Kasigau Corridor REDD+ Project. Mike Korchinsky, CEO and founder of project developer Wildlife Works, tells Gloria Gonzalez how the deal came together and how this project differs from its previous efforts. 4 March 2014 | Mike Korchinsky goes way back with Christian del Valle and Sylvain Goupille, now the heads of the Althelia Climate Fund, back to their days on the carbon desk at BNP Paribas. Wildlife Works, a developer of reduced emissions from deforestation and degradation (REDD) projects that operates the Kasigau Corridor REDD+ projects, had an agreement with the French bank to provide development services for up to $50 million worth of projects. When the two left BNP Paribas and launched the Althelia Climate Fund in 2011, Korchinsky continued to engage with del Valle and Goupille in the hopes of becoming the first developer to receive financing for a sustainable land use and conservation project from the new fund. Those conversations culminated in last month’s announcement that Althelia will make a $10 million investment in the Taita Hills project, which will cover most of the forest area in the Kenyan wilderness outside of Tsavo National Park, one of the largest national parks in the world, and home to elephants, rhinos, lions, leopards, and hippos. Gloria Gonzalez: How is the project similar or different from your previous projects in Kenya? 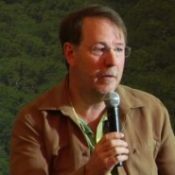 Mike Korchinsky: The program will generate REDD+ carbon offsets from protection of the forest and savannah. The one difference between this project and our current Kasigau project is that Wildlife Works has developed an avoided conversion of grasslands system methodology in the last year and that allows us to look at a landscape in its entirety, not just at forests.